Jet Black iPhone 7 and 7 Plus owners should think twice before applying or removing any protective skin wraps, since a number of users are reporting that the regulatory text printed on the back of the iPhones, such as “Designed by Apple in California”, comes off the device when removing the protective skins, such as those from Slickwraps or Best Skins Ever, MacRumors is reporting. Another user, who has also shared a video (embedded below), experienced the same issue when removing Slickwraps skin from his Jet Black iPhone 7 Plus. 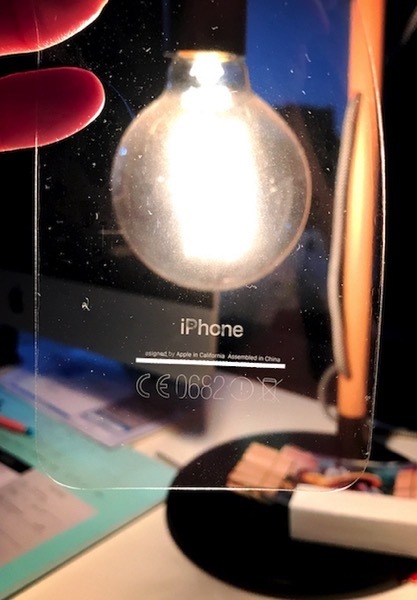 He says that the writing actually came off onto the clear Slickwraps “just like pulling silly putty off of a newspaper comic strip”. It is however not yet known whether the writing came off because the wrap is sticky or because it was a wet install.